From the City of Lights to the Festival of Lights! 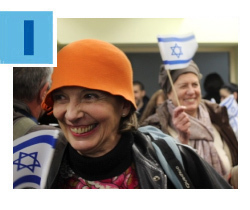 Dozens of French Jews immigrated to Israel this week, just in time for Chanukah. The newcomers, from toddlers to senior citizens, were welcomed by Federation’s partner, The Jewish Agency for Israel, and the Ministry of Aliyah and Immigrant Absorption at a festive ceremony that included candle-lighting, traditional holiday songs and the singing of Hatikvah. Since January 2015, Federation has helped more than 7,000 French Jews make aliyah – a 10 percent increase over the same time last year. The year 2014 broke all previous records for French aliyah, with some 7,200 new immigrants. With less than three weeks before December 31, NOW is the time to consider year-end giving – to support Jewish needs through Federation and to take advantage of income tax benefits. Of course, you can pay off your existing Federation pledge or make a new gift with cash, check or credit card. But you can also use appreciated stock! 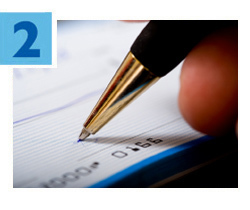 Click here to learn more or call 305.576.4000 for personal assistance. ‘Tis the season to be giving – and Miami’s Jewish community is rising to the occasion by volunteering this December 24 and 25. 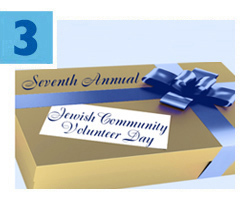 Several events organized by Federation’s Jewish Volunteer Center are already filled to capacity with volunteers eager to give the gift of meaning on Jewish Community Volunteer Day. Check out the family-friendly offerings and sign up now! Harness the power of networking during a free JWorks Miami workshop, Wednesday, December 16. Meet and share information with other job-seekers, introduce yourself to the JWorks team and get great tips on the hidden job market during this helpful two-hour session. JWorks Miami is a partnership of Federation and Jewish Community Services of South Florida. Click here for information and to register. 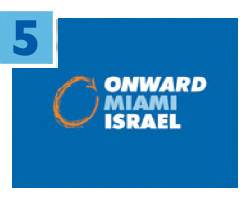 If you loved Israel on Birthright or a teen summer program, you’ll love it even more with Onward Israel! This highly subsidized program, supported by Federation and The Jewish Agency for Israel, invites Jewish students attending Miami-area universities to live in Tel Aviv for eight weeks and enjoy a professional internship in a field of their choice. Click here for details and to apply. Deadline is February 1, 2016.